← Two Tip Tuesday – Hmmm, What to Work On? 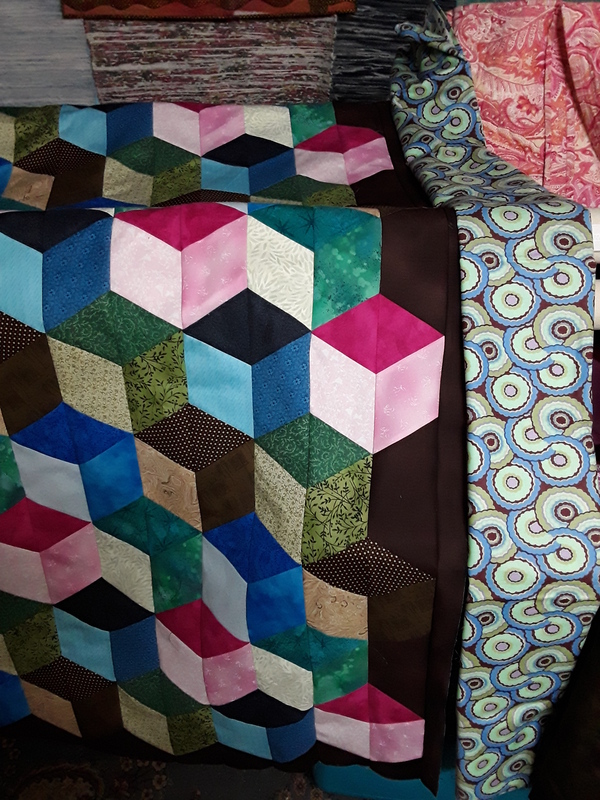 If you read last week, I didn’t manage to get those quilts on the frame. BUT, I did get a quilt cut out and another almost finished. So, my list got some additions that I was able to cross off and other things already on there, still remain! I must look at it as progress…progress is still progress!! I’m trying to decide on the borders for a Baby Blocks quilt made with Hex-a-ma-jig. 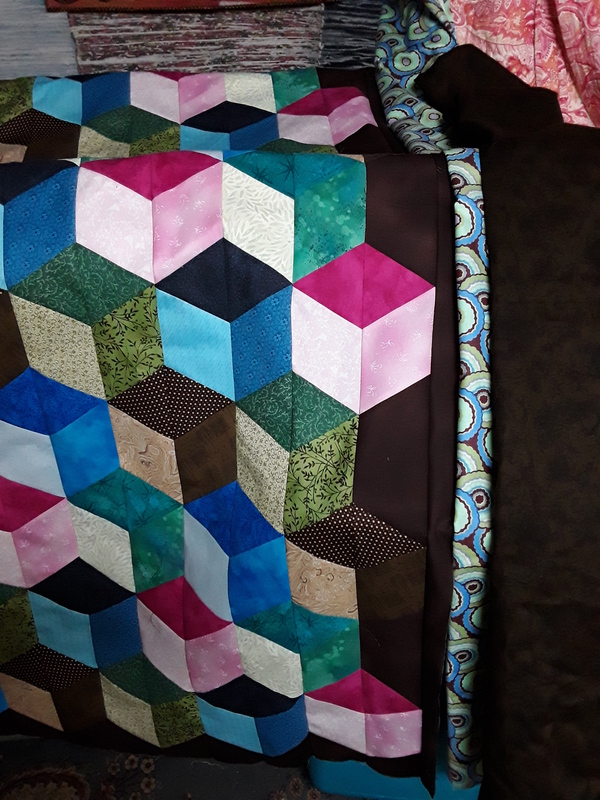 The fabric I have as the border was my inspiration for the coloring of the blocks. Baby Blocks with Hex-a-ma-jig D.W.
Baby Blocks with small focus border D.W.
Now to decide which is better….Opinions welcome! I’ve about decided the border fabric does not go but was perfect for the inspiration colors. #1-Use a fabric for pulling colors as inspiration for your quilt. #2- You can change your mind! If it just isn’t working, don’t force it!! Did you make any lists? Are things crossed off or do you keep adding to it?!? The narrow circle border between the two wider black borders works very well to bring the near solid colors of the top’s center out to the edge in print motifs. Having it much narrower than the black borders tames the big print into simply enhancing the center colors. It adds interest and doesn’t detract from the 3-D blocks, the focal point of the top. Hope this helps. Great thoughts Linda! I agree.